Every holiday has decorations, because who doesn’t love them?! I finally got around to putting away the Christmas bins and realized that Valentine’s Day was coming soon and with last year’s purge we got rid of most our old decorations. 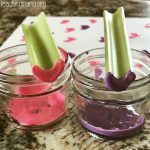 That left me with candles and some kids craft packets for Valentine’s Day. 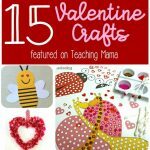 With the kids getting older I thought what a great way for the kids to get involved; we were going to do DIY Valentine’s Décor! 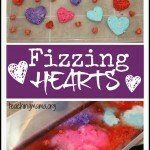 Sure, paint or beads might have ended up on the floor, and glitter in hair, but the kids had a great time! 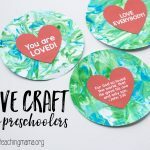 Now, I love kids’ crafts as much as the next mom, but they aren’t reusable. That’s when I thought of the idea to use fingerprint art to make decorations, this way I could bring them out each year. These are the different projects we ended up making. This was my original thought that inspired the other projects below! 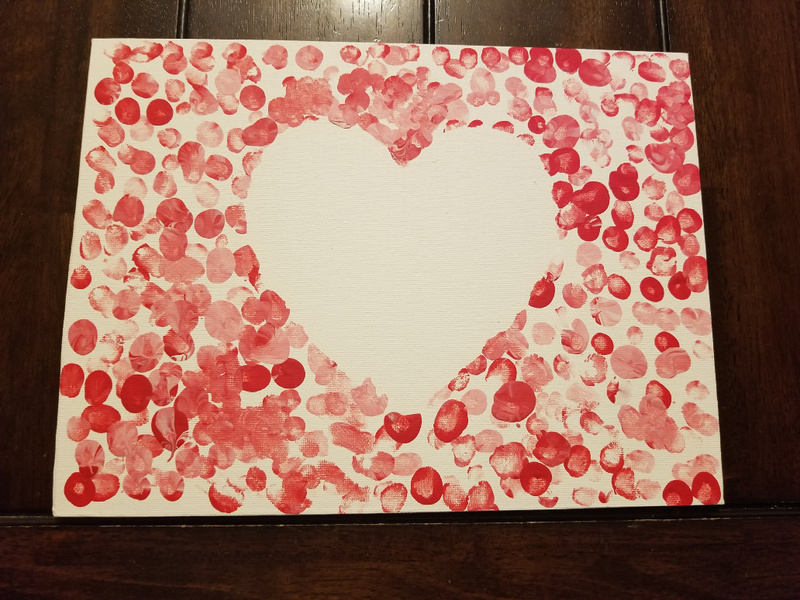 It turned out so well, we plan on making a non-Valentine color themed one to hang up all year! 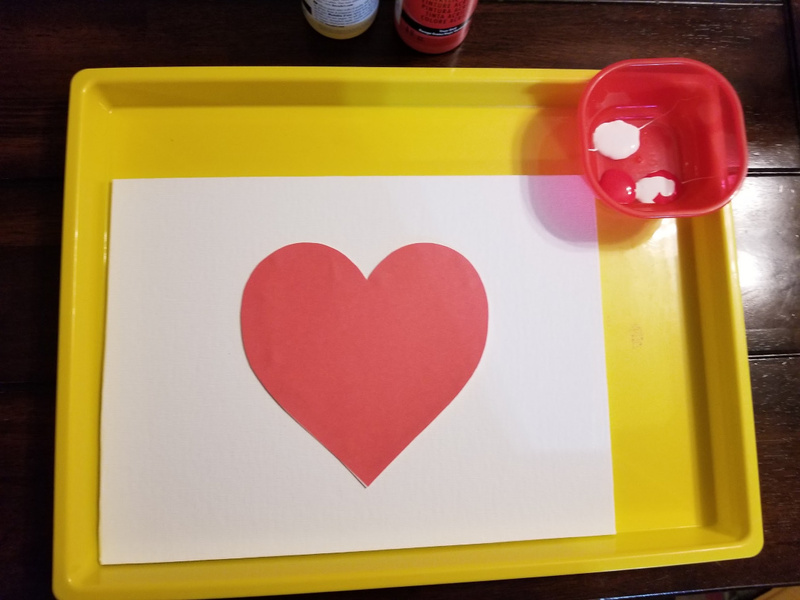 Using the poster putty, attach the heart cut-out onto the canvas board. Put a small amount of the desired colored paints into a small bowl. 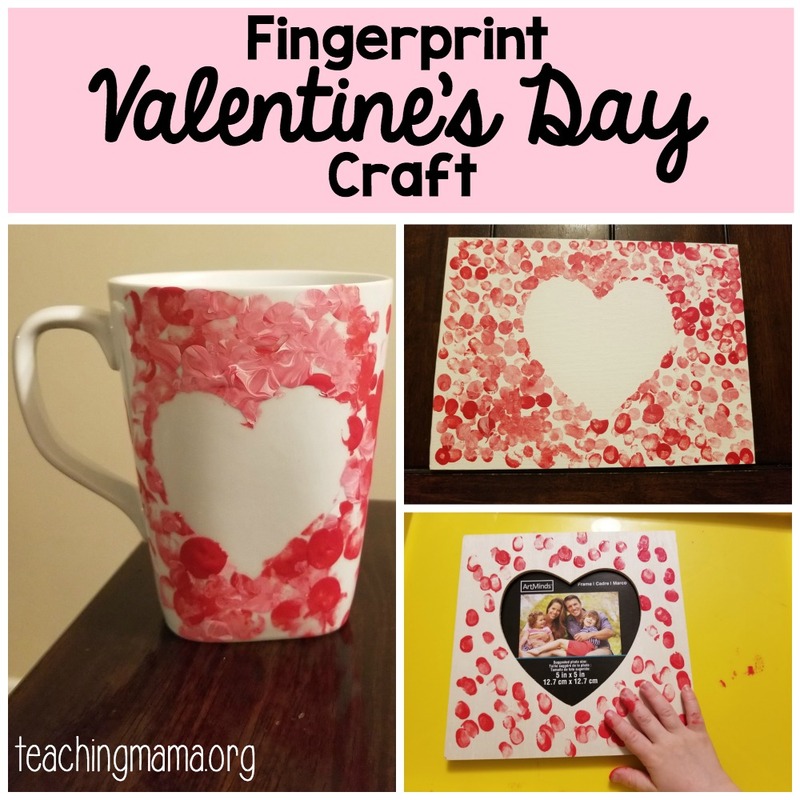 Have your kid use one finger at a time to dip into the paint and onto the canvas. You can choose to have the colors natural mix or keep them in separate bowls. Once the canvas is covered, allow to dry. 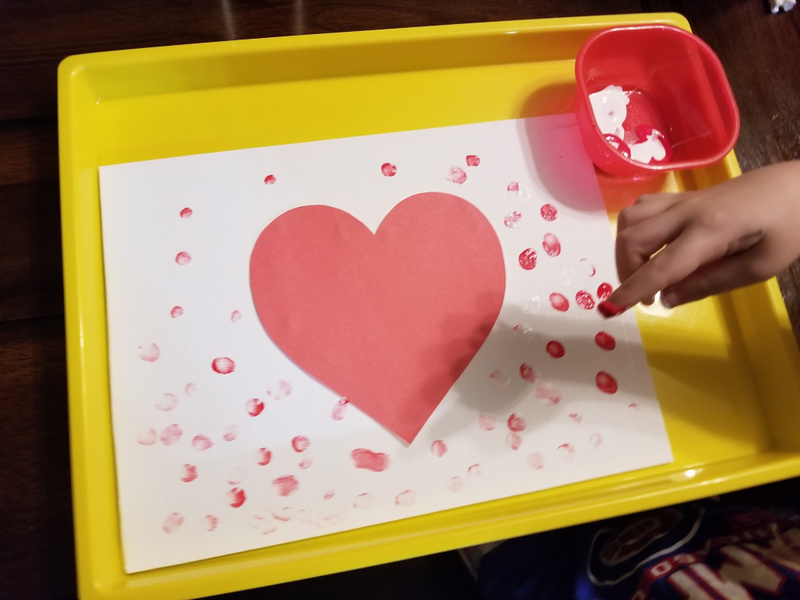 If you have multiple kids, a great effect is if you allow them to use the same canvas just dry in between Remove heart cut-out and putty. 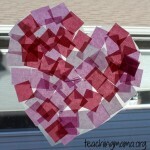 You could use this same concept to make wooden blocks with the word “love” or your family name. Like most moms out there, I live on caffeine! And you can’t have your liquid courage unless you have something to drink out of. I confess I have gathered quite a collection, thus, why not add another fingerprint project! 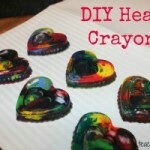 Using the poster putty, attach the heart cut-out and letter cut-outs onto the desired wood blocks. Put a small amount of the desired colored paints into a small bowl. 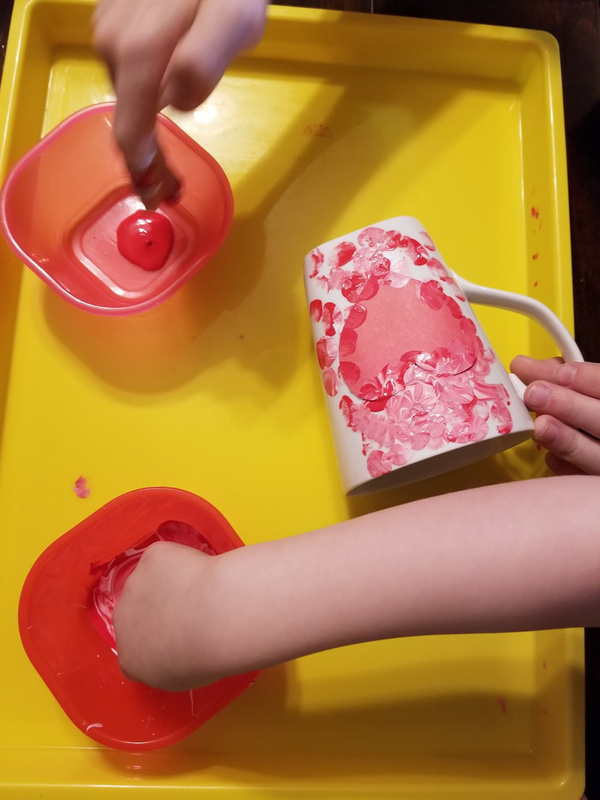 Have your kid use one finger at a time to dip into the paint and onto the mug. 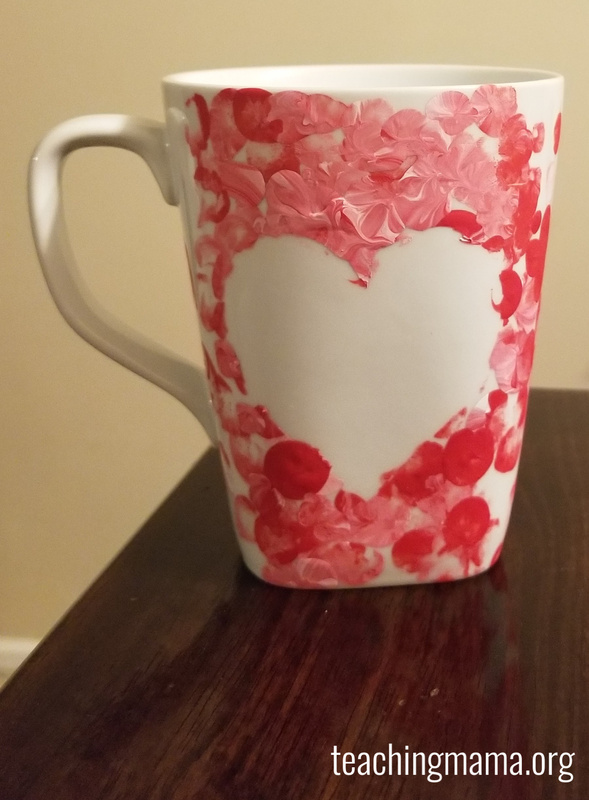 Once the mug is all covered, allow to dry. Remove heart cut-out and putty. Important Note: To make this a fully food safe item, my suggestion is to take your ceramic piece to a ceramics shop to get a food-grade glaze added and then fired. You can add acrylic sealers but these will only make it waterproof. 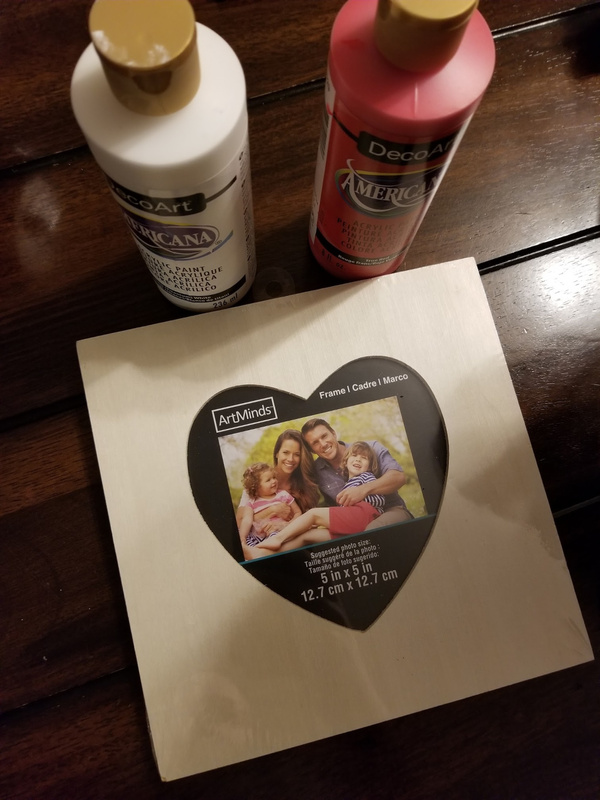 I found a craft kit from a few years back that had a foam picture frame with stickers for decoration. 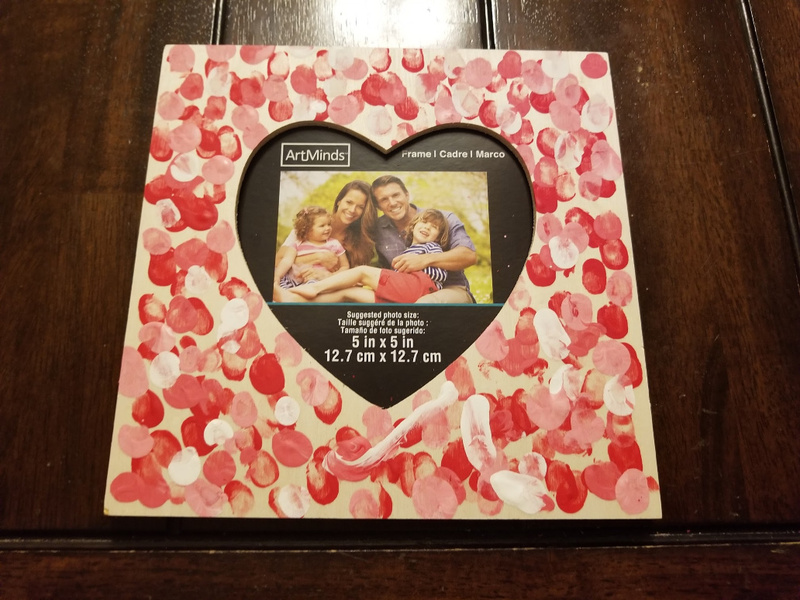 I wanted to upgrade this idea a bit, so using our fingerprint theme, each kid made their own frame. Put acrylic paint in a small bowl. 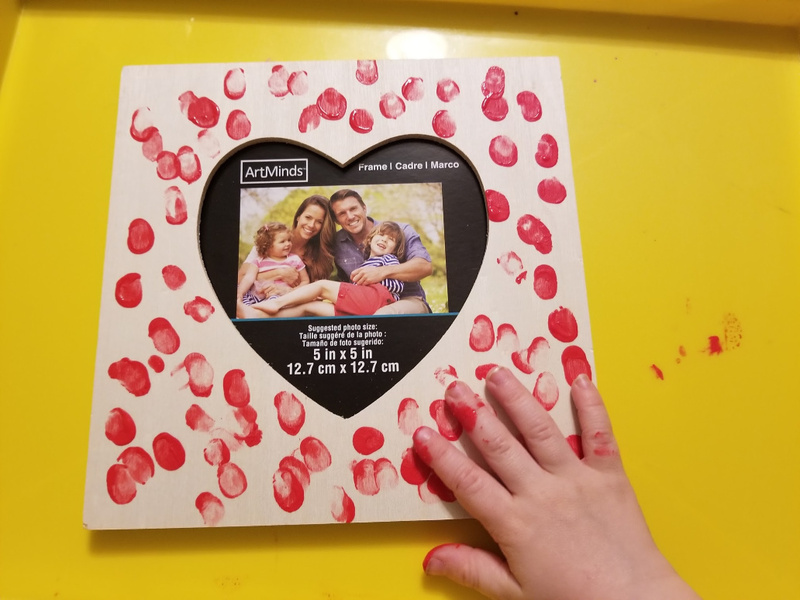 Let your kid use one finger to dip into the paint and onto the frame. Once the frame is covered, allow to dry. Add picture and display. 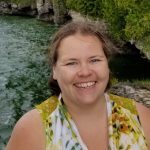 I hope you love doing these projects as much as we did!